I love music and enjoy being part of the music business, and I bring a unique perspective to my students. After years of teaching and performing, I realize that the first priority of teaching is to instill and foster the love of music that the student brings to this process. My goal is to make sure that the student enjoys learning while working towards realizing their musical dreams and goals. I can, and will, teach basic theory, chords, ear training, and so on. These things will support what the student wants to do, whether is learning to sing songs, songwriting, improvising or whatever. I want to make sure that the student is having a good time in the process of learning to play music, and is going where they want to go. I will help the student to define goals if need be. And, I will shift with the student if the goals shift. I am student centric. I don't particularly have my own agenda. 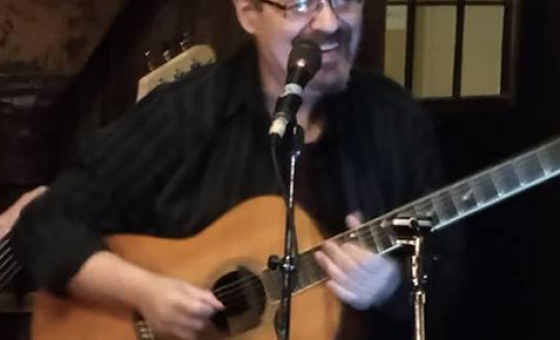 Have FUN learning to play the Guitar, with Kenny Selcer (with 30+ years of performing and music making), with personalized lessons. Folk, rock, blues, jazz, improv. Need help with making your songs come alive? I can help you with learning what it takes to support your music with better chord changes, better rhythm, and better playing and understanding of what you are doing. Just want to learn how to play that favorite lick? I can help. Want some theory? Or, just beginning? I can get you playing songs sooner then you think. I can guide you in the direction you need to go. Let’s set some goals and get you where you want to go! • Beginning guitar - acoustic or electric.